We have recently had a huge order and re-stock of all your favourite FIMO clay! So if you are a FIMO fan then purchase some of our FIMO clay and get making today. FIMO is a spongey clay that comes in an assortment of different colours including mattes, metallics, pearlescents, translucents and glitters to create the desired effect you wish when making. The possibilities are endless with this innovative material. 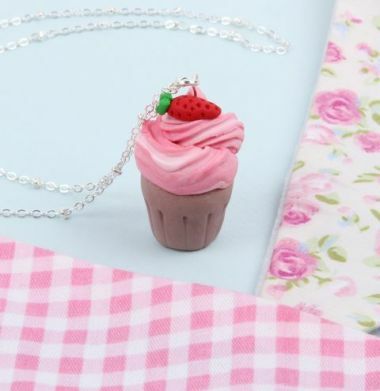 We ourselves got making with some of the new colour-ways creating some Great British Bake Off inspired jewellery pieces perfect for celebrating the most talked about competition within the baking community which is heading into it's fourth week of 2018. Our designers here at Beads Direct have created a set of earrings and a pendant for a necklace, bag charm or keyring to help get you excited about the competition. 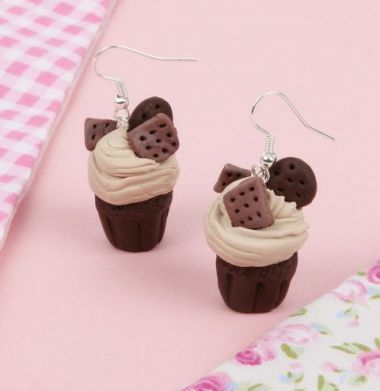 The two pieces take the shape of cupcakes, firstly there is the Strawberry Cupcake pendant and then there are the Chocolate Biscuit Cupcake earrings. Each of the two jewellery items are made from a mixture of different FIMO colours, including chocolate brown, tropical green, Christmas red, Sahara and white. FIMO is a great way of easily making any shape, figure, motif with just the help of an oven, use your hands to mould the clay and heat in the oven for half an hour on a low temperature of 100 degrees to harden the clay. With these cupcake motifs it was just like baking a cake!